Most days, I need a cup of coffee to start the day. Sometimes, I wish I had a stroopwafel to go with it. When I do have a stroopwafel to pair with my morning coffee, I always start my day with a bit more excitement. It’s the same thing with your explainer video. You make it rev up your revenue. This is much easier to do with “sprinkles” on your explainer video to make it even better. Most of all, unlike a stroopwafel, you can spruce it up yourself for free. And don’t worry, I’ve included the download page for each explainer video software linked to their names. An interesting thumbnail is one of the factors that determine whether or not your video will be watched and (therefore) that will pique viewers’ interest. And between you and me, most of the time I decide to watch YouTube videos just because of their thumbnails. 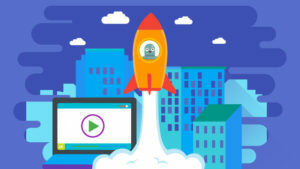 Uploading your explainer video to YouTube is one of the easiest ways to share. Unfortunately, YouTube only provides you with 3 options for your thumbnail, and most of the time they’re not the frames you want as a thumbnail. Thus, you want to (and should) make a custom thumbnail from the most suitable frame of your video. Easy Thumbnails is free online explainer video software that you can easily use to snip the best frame of your explainer video and use it as the thumbnail. This 1MB software lives up to its name. The graphical interface is simple and it makes creating scaled-down graphics a user-friendly task. The best thing about this free thumbnail generator is the batch processing feature. You can either choose one picture or an entire folder to convert to thumbnail size. Picking the perfect frame isn’t a one-time thing. You’ll have some thumbnail-sized images left unused, but don’t delete them just yet. Those images from your thumbnail selection attempt can be added to your web content as an animated GIF. 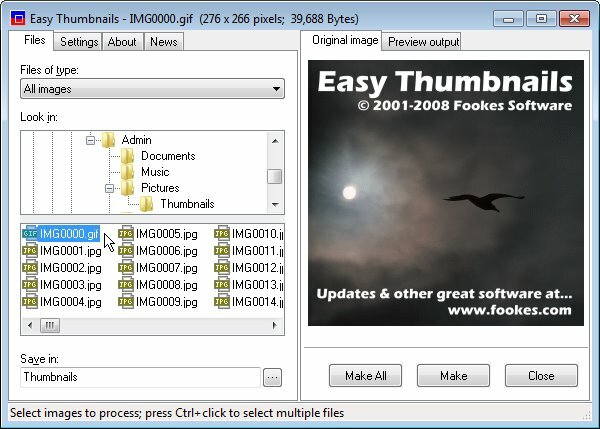 GIFMaker is a free web-based tool to make an animated GIF from a series of images. You can customize the size and animation speed with this free and adware-clean website. Besides GIFMaker which turns your image files into an animated GIF, there’s Giphy which provides you with software to convert your video to a GIF, just like we did with one of our explainers here. It’s made from an entire animated explainer video simply converted and compressed into a single GIF. We did this because a GIF is much faster to load and smoother when featured in articles. Several video formats like .mkv and .mp4 are considered a general format playable on most platforms. However, some platforms like Apple have specific video formats that can’t be played on other platforms. That’s where converting tools like Convertilla step in to help you. Convertilla is a perfect tool for those of you who prefer a conversion process with an absolute minimal hassle. The interface is pretty much essentials-only with almost none of those ‘advanced options’ like in other software. Drag and drop your target file into the program, choose an output format, maybe the resolution and quality, click “Convert” – and that’s it. Wait for the file to be converted, then click the “Play” button to open the video and make sure it’s okay. You may be wondering, what does cloud storage have to do with my explainer videos? The answer is simple: a back-up plan. Not only does it save you from potential data loss like burned-out hard drives or other physical storage malfunctions, it provides you access to your explainer video in case you forget to bring your flash drive to an overseas meeting with clients. What makes Google Drive the winner among cloud-storage services is the synchronization between Drive and Gmail. Whenever changes happen to your files, or someone shares a file with you on Google Drive, you get a notification. Certainly, nobody hopes to experience any of that, but you can dodge a bullet by simply storing your explainer videos (or any important files) online. As an additional note, there are many other cloud storage options from which you can get free storage like Microsoft’s OneDrive, Dropbox, and Copy. Here’s a simple comparison between them. Windows Movie Maker is essential video editing software that comes with the Windows operating system. The best part is, in comparison to other video editing software, it’s very simple to use. However, I want to highlight the overlaying feature in this software. If you have a Windows PC, this is your best choice for adding image overlays to add even more information to your explainer videos. Add the video to your Movie Maker project using the Add videos and photos button. Under Video Tools, set Video volume to none. Click the Add music button. On the right side of the filename box, set it to “videos” and locate the video itself. Go to the specific time where you want to put the photo. Under Video Tools, click Split. Go to the part where you want the photo to end, then click Split again. Please note the length of the part where you want to put the photo, then delete that part of the video. Add the photo to the project, and move it to the part where you split the video. Click the photo, then under Video Tools, set the Duration equal to the length of the previously deleted part. Do this for the other parts of the video. You may need to adjust the videos to properly sync them with the audio. 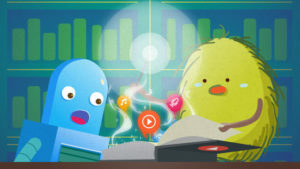 In explainer videos, subtitles are considered distractions from the visuals. However, they could come in handy for international companies. If you’re active in the international market (or looking to become active), providing foreign language subtitles is one of the best ways to ensure foreign language speakers understand the value of your product/service without making multiple voiceover recordings. 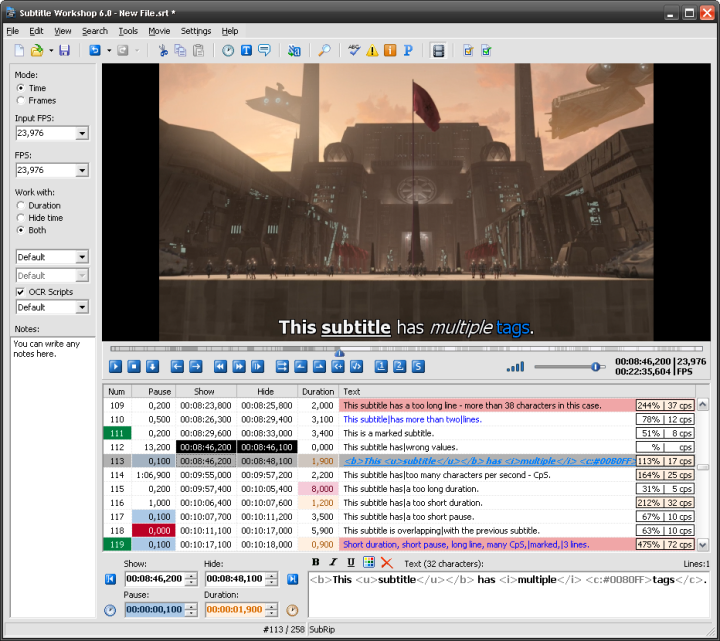 Subtitle Workshop is simple, easy-to-use software for creating, converting and editing subtitles. Not only that, it can also translate from and into various languages. Before you use the translation service, I suggest double checking the translation since most of the time the translations are literal. From what I’ve experienced, Subtitle Workshop has a very user-friendly, multi-language, customizable interface (including customizable shortcuts and translation features). 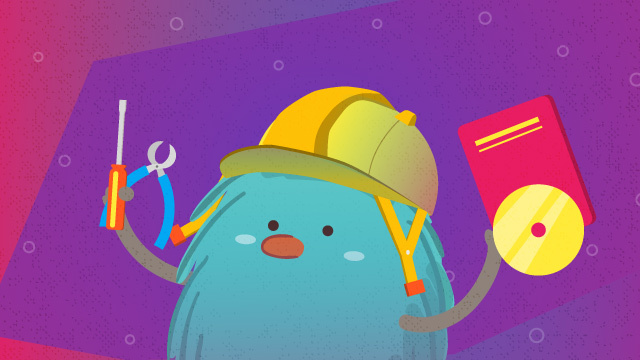 These tools can increase the value of your explainer videos, from repurposing it to enabling subtitle which can make viewers understand the content better. You don’t have to use them, and you can definitely get result from your explainer videos without these tools. Here’s a quick recap of each software mentioned in this blog post and what it’s used for. Google Drive : Free/paid storage for your explainer videos. Easy Thumbnails : Pick an engaging scene from your video as a thumbnail. GIFmaker : Convert a part (or the entirety) of your video into GIFs. Movie Maker : Create an image overlay for your videos. 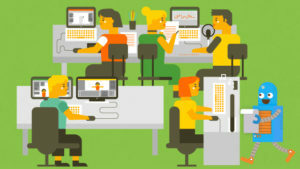 Subtitle Workshop : Create and edit subtitles for your explainer videos.